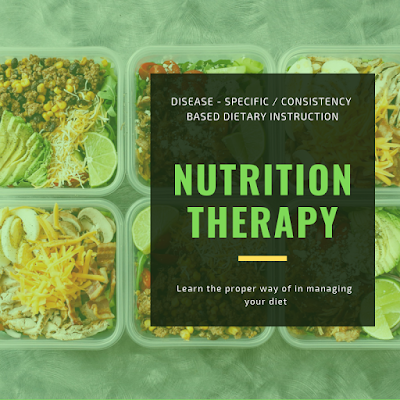 Nutrition Therapy is an instructional procedure where you can learn the basic knowledge on how to manage you meal or disease concerns in terms of a diet plan. We specifically address your concern by give you a PERSONALIZED DIET. 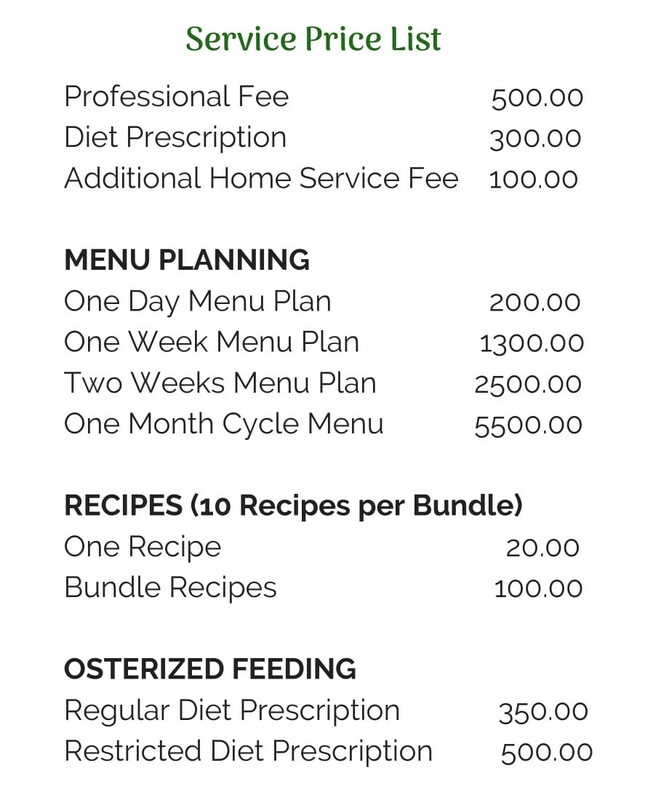 If you go to a more in-depth understanding on how you you should manage your specific diet, we can also offer you Personalized Diet Prescription that will provide you the well-computed diet based on your laboratory results and initial assessment. 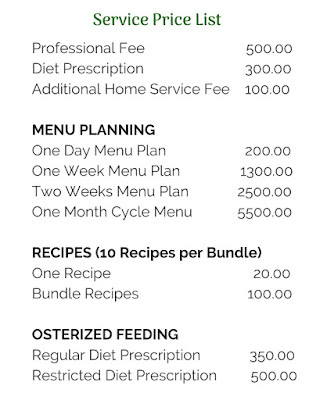 For Service Price List Please Refer to the photo Below.